The Compliance framework of Legislation, regulations, codes and Australian Standards is intended to ensure that all buildings structures and workplaces meet safety requirements, not only for the protection of the property but more importantly the occupants. It is essential to reiterate that the primary concern of all is the precedence of life safety over that of property. It is imperative that your emergency planning and communication to that occupant is clear and framed simply. Given the amount of time we all spend in the workplace, it is only fair that occupants are provided with the same guarantee of health and safety at work as they are at home. The Australian Standard 3745 sets out the guidelines for the well-being of occupants in workplaces, Responsibility for occupants safety is shared between the employer, the building owner and the building management company. In line with our Government’s ongoing campaign to guarantee safety to the workers in their work environment, we have specific requirements and policies that specifically address safety concerns. Here is a rundown of the most important requirements. The Australian Standards Model Work Health and Safety Bill, also known as the WHS Act, is the ideal template when it comes to governing policies over the different Australian jurisdictions. Expectedly, there will be some variations in application and interpretation of certain sections, depending on the state or territory implementing it, but at the very least, there is a set guide that should serve as the benchmark for all other versions. The complete model of the Australian Standards WHS Act stipulates the definition of terms, including “persons conducting business” and “workplace”. These may seem rather elementary, but any legislation that aims to apply rules correctly needs to be as accurate as possible to avoid loopholes also goes into the duties expected from the parties involved about workers’ health and safety. The primary duty of care and who it belongs to is also addressed, along with risk management ideas. Of course, the Australian Standards WHS Act also lists the different categories (total of three) of offences and their respective penalties. Exceptions to the general rules are also identified for clarification. Like the Australian Standards WHS Act, the Australian Standards OH&S contain requirements that are helpful to business owners in the sense that it could assist to keep them from incurring reputational of financial damage to their business. Every time a workplace injury occurs, it is not only the worker that’s affected by it; a section, if not the entirety, of the operation, gets held up to make way for investigations and other matters, especially if a complaint is filed. With the Australian Standards work health and safety laws in place, business owners should be able to take preventive measures, instead of waiting for an accident to happen before acting upon it. A safe workplace environment, adds to the credibility of the business. Not only will a business that abides by safety regulations be more appealing to workers, but it will also be staying out of trouble with the government and its insurer. Don’t forget that a business’ reputation will ring out beyond the walls of the workplace. Poor working conditions, once it spills out to the public, can negatively affect its performance in the market, especially if it is limited within the very community in which the business operates. As mentioned earlier, the implementation of the Australian Standards WHS Act largely depends on the approval of the local Parliament. Those states that have yet to ratify this bill into an act are not necessarily going to be penalised, although they are, still expected on the national front to have their safety regulations in place. These codes may not be as precise and detailed as the model Australian Standards WHS Act, but at the very least, they should be implemented as a form of security and protection for the workers. These are just some of the helpful tools that the government of Australia provides to spread further education and knowledge about Australian Standards work health and safety laws. Legislators hope that these rules be followed strictly to the letter so that Australia may achieve its goal of having all companies fully compliant with workplace environment safety. The Amendments to Australian Standard AS3745-2010 introduces the “Emergency Planning Consultant”. The terms refer to emergency planning specialists with “the knowledge and skill enabling him/her to advise on human behaviour, fire safety systems, evacuation methodology, emergency preparedness and response and the development of an emergency plan”. The Impact on You: Be careful of imposters! The standard does not refer to the technical level that a person must be to be considered an “Emergency Planning Consultant”. Be sure to ask what qualifications your Emergency Planning Consultant holds. In Queensland, for example, your consultant must hold a valid Fire Safety Advisor (FSA) qualification. The FSA requirement is also best practice outside of Queensland. Also, consider asking for your consultant’s licenses and experience. The last thing you want to be doing is taking life safety advice from someone who doesn’t have a full understanding of emergency planning. Again in Queensland, for example, businesses and individuals providing emergency planning and fire safety consulting services must be licensed by the Queensland Building and Construction Commission (QBCC). The Amendments to Australian Standard AS3745-2010 documents a few additional elements that the emergency plan should now reference. The Impact On You: Consider reviewing your emergency plan against the amended standard to ensure that you cover everything that is required. 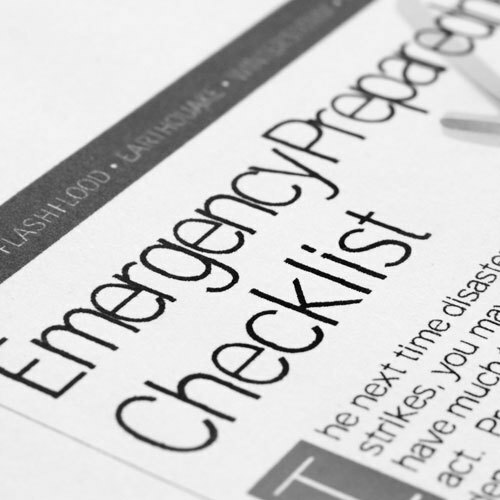 Remember that the norm lists quite a few strict elements that are necessary to be included in your emergency plan. If your plan is less than 80 to 100 pages, you probably aren’t covering off everything you need to! The requirements for emergency evacuation diagrams and signs have perhaps seen the biggest of changes in the Amendment to Australian Standard AS3745-2010. Building specific emergency evacuation procedures should now be included in the diagrams. Fire hydrants are no longer a required element within the diagrams and are now optional. External elements of the plan (such as landscaping, fences, etc.) should not be included on the diagrams unless they form part of the egress path. Larger facilities (such as hospitals, universities and shopping centres) should prepare their diagrams in sections, showing no more than two exits on each section. Finally, some the standard’s icons have changed, and they have included a new image for evacuation devices. The Impact on You: It is important that you review your emergency evacuation diagrams and signs. For some, no additional changes will be required to their diagrams, and their diagrams will remain compliant as long as they are regularly reviewed by the EPC. Diagrams prepared by Evac, for example, fall into this category given our best-practice model for developing diagrams. For others, consider engaging your emergency planning consultants or Fire Safety Consultants to review your existing diagrams against the amended standard. There has been a significant expansion of the definition of tenants and visitors with a disability in the Amendments to Australian Standard AS3745-2010. The Impact on You: Review the new definition and ensure all of those people within your organisation that fall into this category have Personal Emergency Evacuation Plans (P.E.E.P.s) completed. The amendment to Australian Standard AS3745-2010 has introduced some exciting changes to evacuation exercises. First, of which, the initial emergency response training for the building may be simulated, to test the procedures and the ECO members. For ongoing activities, all areas of the building must participate in at least one evacuation training each year. These activities must involve an evacuation of the building. The Impact on You: If your building is already undergoing annual testing of the emergency plans through evacuation exercises, nothing much changes for you. Those who are not already taking part in a yearly evacuation exercise should get in touch with their emergency planning consultants as a priority! The amended standard implements additional minor changes to those indicated above. Does your facility comply with the current Australian Standards? Please feel free to contact us, or check the compliance of your facility with our free survey. Just click a button below, and our experts will get back to you shortly.